Very Excited! 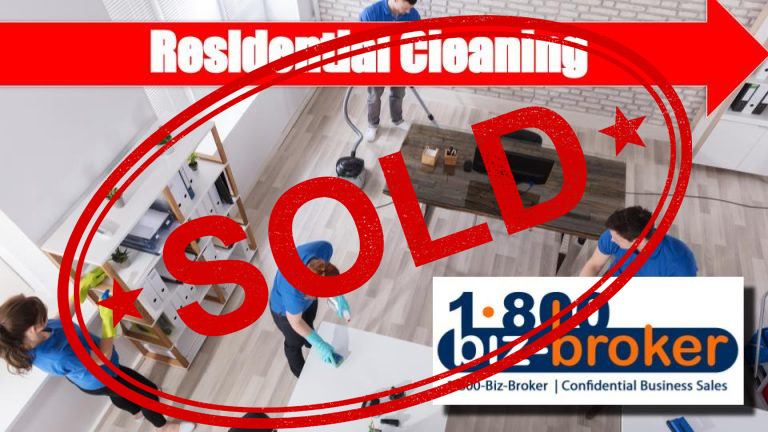 Sweet success … after an 8 month search for the perfect buyer we have closed the sale of this decades old, Corona based, residential cleaning business. The sellers were ready to retire, however, A Plus Cleaning Services will continue to thrive AND grow under the leadership of its new owners. The business sold in about 8 months, pretty average for today’s economy, BUT, we did begin working with the sellers just over 12 months ago. PLANNING was instrumental in selling the business and finding the right buyer, at a great a price and terms. Pre-listing, we helped the sellers organize their financial statements and gather supporting documentation to substantiate the business’s customer list and profitability. 12 Year History – Recurring Customers – HUGE Industry – GROWTH OPPORTUNITY!Very Established (12 Years) Residential Cleaning AND Carpet Cleaner! Residential cleaning is a $10 BILLION Industry and expected to grow by 16% by 2018. Keys to selling your business fast and for top dollar: planning, get financials in order, business valuation, confidential marketing, screening buyers, negotiate terms, closing, transition.